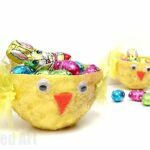 Time for a collection of fantastic Easter Crafts for Preschool – for those of you working with 2 and 3 year olds, here are our favourite Easy Easter Crafts! 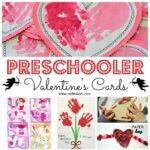 We love toddlers and preschoolers and their enthusiasm for everything creative. 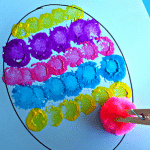 They are just starting to strengthen their fine motor skills and beginning to follow instructions. 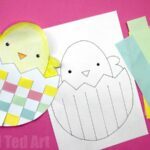 Here are some our favourite Preschooler Easter Crafts that make the most of this wonderful age group to work with. 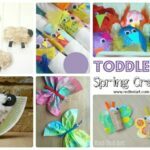 We have tried to group the different craft ideas into sections, for easy browsing. Hope they make sense to you!!! 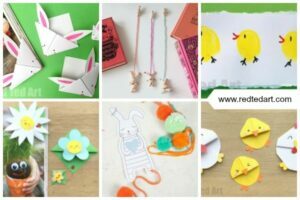 If you are after some Easter crafts for adults, we have a FANTASTIC selection for you to browse too and of course… there is a set of Easter Corner Bookmark Ideas for you too! 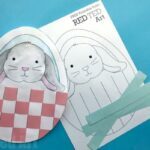 Whether you are looking for Easter Crafts for Toddlers to make or Easter Crafts for Sunday School, I do think you will be able to find something suitable here today! Enjoy! 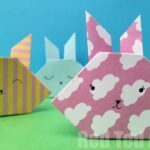 We adore these easy TP Roll Bunnies – they only take minutes to make and each one will have a quirky little character of it’s own. 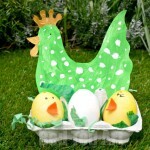 A long standing favourite of ours are these Egg Carton Chooks. 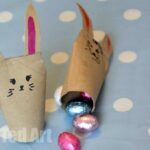 Easy and fun..
.. so we also had to have a go at turning them into quick Egg Carton Bunnies! 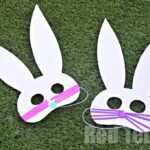 Joining in with an Easter Parade? 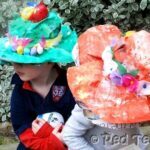 Make your own beautiful and easy Easter Bonnets from recycled materials. They really do look great and you can decorate them in whatever way you fancy. 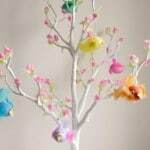 Just upcycle newspapers and tissue paper saved from gifts. 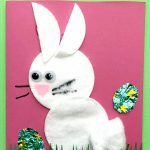 My kids adore adding cherry blossom and leaves to this easy Easter Tree Decorating activity – a joint project that is great for developing fine motor skills! 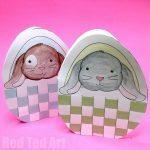 Time for some Easter Egg Art for toddlers and preschoolers to get stuck into. 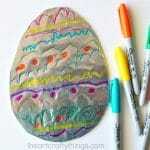 One egg.. three different ways to decorate that 2 and 3yrs olds will adore! 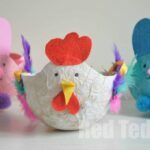 Nothing quite like a bit of Chick Paper Weaving Art for Easter! 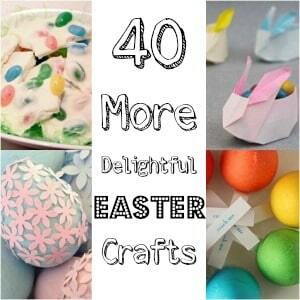 How cute are these colourful Chick & Easter Egg Paper Weaving projects? 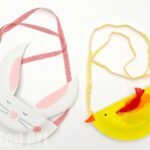 We also have super duper cute “large” Woven Bunny Basket Art Project for your preschoolers to have a go at! 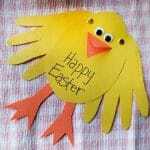 We also love the opportunity to send a greeting card to granny and grandpa.. and Easter is no different. 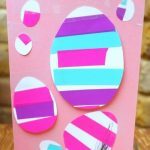 Have a go at these different and as always easy keepsake Easter Cards for Preschool to make! 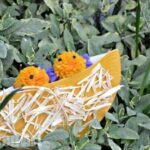 Or have a go at the Paper Woven Chick and Egg Cards – again with free printable! 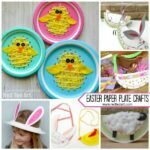 We love paper plate crafts for preschool.. here are some of our favourite Paper Plate Easter Preschool Ideas.. we have more Paper Plate Easter Crafts for you to browse! 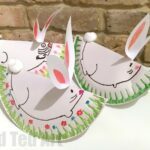 Rocking Paper Plate Bunnies – we particularly like these, as the kids can take as long or little time over them as they like. 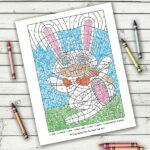 Spend time decorating the grass, or coloring in the bunny.. and add fun little cotton tail details. Fun to play with too! 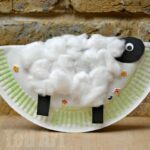 Similarly, we adore this Rocking Paper Plate Lamb – we made this in my daughter’s reception class before and substituted gotten wool with shredded paper – a great way to reduce costs and upcycle in a group environment.. however we DO love the cotton wool version too. Just wonderfully tactile. 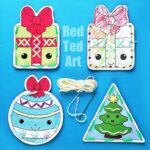 These Paper Plate Chick Sewing Craft are a recent guest post on Red Ted Art by the talented I Heart Crafty Thingsfollow. Aren’t they simply ADORABLE? 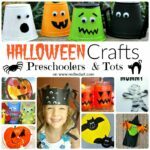 I love how fabulous they look, but also how they are a great fine motore activity for young kids and a wonderful Introduction to sewing for the smallest (and biggest) among us. 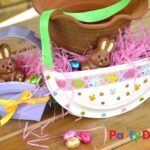 Well.. you can’t have Paper Plate Crafts for Easter, without a Paper Plate Easter Basket or Paper Plate purse (or two), here we have a super simple paper plate purse that the kids will love to decorate with stickers, as well as a more tricky one for the older kids. Both look adorable! 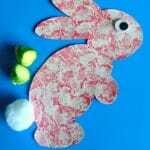 Similarly, you can turn your Paper Plate Purse into adorable Paper Plate Bunnies and Paper Plate chicks. So sweet! 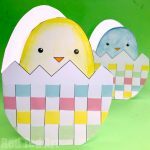 A simple yet popular and “classic” Paper Plate Craft for Spring are these darling little Paper Plate Nests. 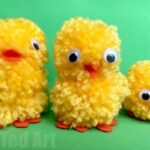 Combine different materials – such as straw or wool with the nest and make your own pom pom chicks. Gorgeous. 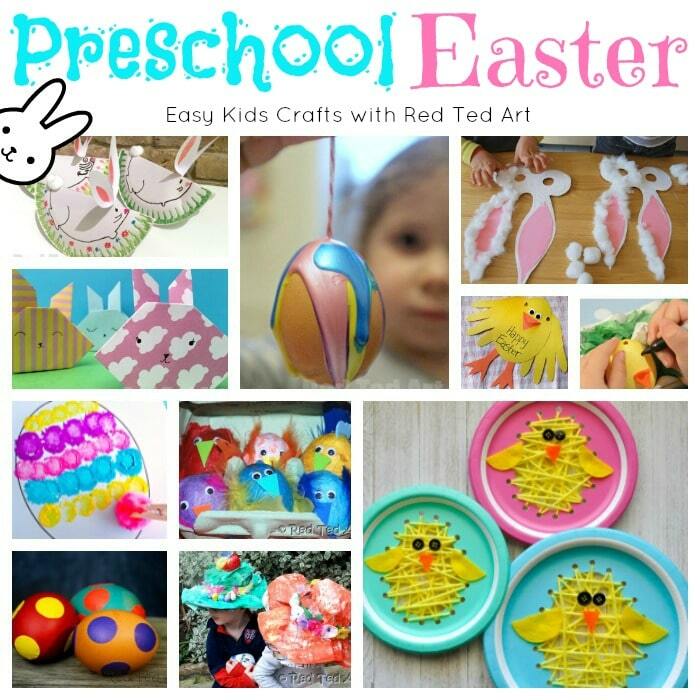 We love decorating REAL eggs.. and though preschoolers and toddlers may not always have the dexterity to work with eggs, we STILL think it is never too early to introduce them. They will love the responsibilty of working with something so precious.. and if they break the egg shell.. does it really matter? 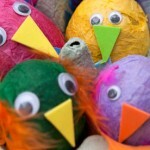 Alternatively, some of the egg decorating for preschool ideas below work really well for hard boiled eggs too! 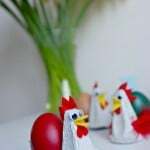 Which make a great addition to the Easter Table! 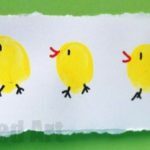 We love this Tissue Paper Chick technique for preschool, as it is easy for small hands and the results are adorable! 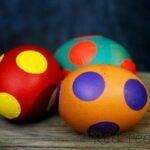 Spotty Eggs – egg decorating doesn’t get much easier than these adorable and quite effective spotty eggs. 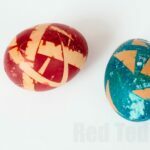 As mentioned, these are great for hard boiled eggs at the Easter Breakfast table too! 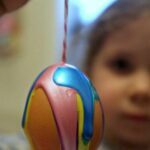 Drip Paint Eggs – ok, this one is not for the faint hearted.. you will have to love paint to do this one.. but the results are so very pretty! 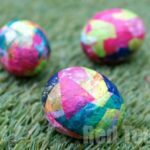 One of our favourites to do on Easter Sunday… Wax Crayon Eggs. 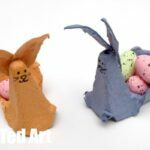 The process is wonderful – watch the crayons melt.. then eat your eggs! 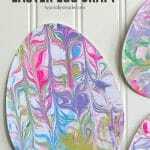 Not disimilar to the Spotty Eggs.. but the same process in reverse – create pretty patterns with this “Paint resist” technique! 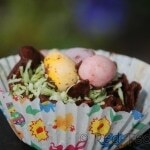 Classic Easter Chocolate Nests – every childhood NEEDS these. Ingredients can be mixed and matched and substituted to suit local tastes! 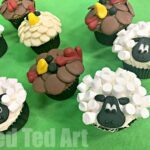 Adorable Chook and Sheep Cupcakes – so fun and easy! 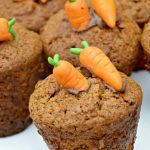 Involve your preschoolers in making these delicious Carrot Cupcakes! 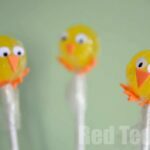 Oh and finally.. a quick way to turn a simple lollipop into an Easter Chick Lollipop! 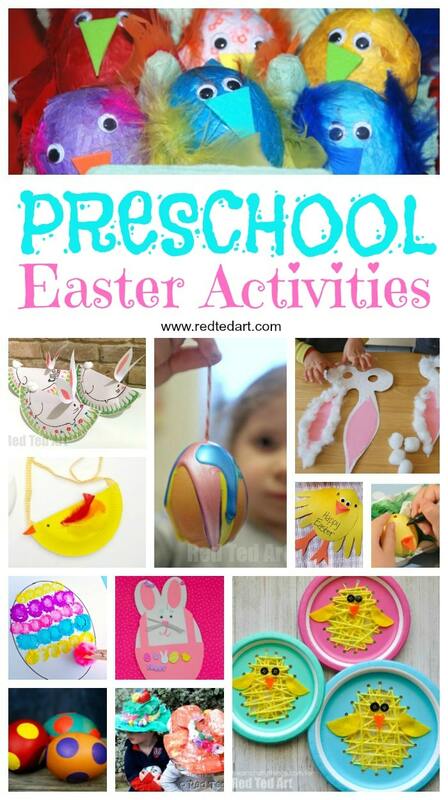 I hope you have enjoyed our collection of Easter Crafts for Preschool! 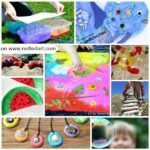 Remember that we DO add more ideas and activities over time.. so do pop back to see what we have been upto! 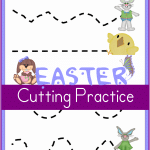 Easter Corner Bookmark Ideas for you too! 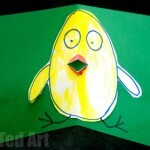 Happy Easter Crafts for Preschooler Making!!!! 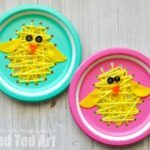 Love all these easter ideas! 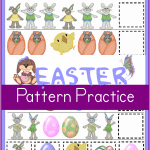 I pinned and am sharing on Facebook. Happy day!